What does the 31 October deadline mean? The other 27 nations of the EU have granted the UK a “flexible extension” to its membership of the EU until the 31 October. This means that if Theresa May gets her Withdrawal Agreement passed before then the UK will leave the EU earlier. 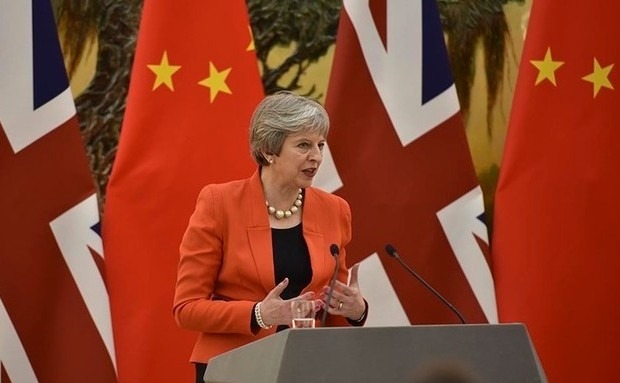 Both the Prime Minister and the EU seem to hope that it can be passed in time that the UK will not have to take part in the European elections on 22 May. At the same time, the government has, according to most reports, now abandoned its No Deal planning as it believes that we will never leave the EU without a deal. From the EU’s side, Jean-Claude Juncker said the EU was ready for No Deal. “We have adopted the necessary contingency measures and we are ready for a no-deal Brexit,” he told MEPs. However, since it is generally agreed in the UK parliament that this is the last option, we ca probably discount it for now. There will be further talks between the government and Labour Party as soon as parliament returns from the Easter recess. If a compromise deal can be reached, MPs will vote on it. If passed, the UK will negotiate the amended deal with the EU and aim to leave as soon as possible. If MPs reject a deal worked out between Labour and the Government, the next stage is unclear. If the talks break down, MPs will vote on another set of indicative votes before having to contest the elections. If a deal can be cobbled together we are once again set to leave. If not, we will either leave on 1 June without a deal, or we will take part in the European elections. For holiday home-buyers, whatever happens with Brexit their right to buy in Cyprus and spend a large proportion of the year there will be unaffected. Why? Because property ownership is not one of the “four freedoms” of the single market and anyone – even Americans, Australians etc – can buy. Moreover, those “third country nationals” (as Americans, Australians etc are classified, and the British probably will be too) will be able to travel visa free to their property probably for up to six months of the year. They will probably have to take out private health insurance, however, and may not be allowed to work. There is possibility that “freedom of movement “ doesn’t end, either through Brexit being cancelled via a second referendum or by a softer version of Brexit. In which we will continue to be able to relocate to EU countries just as now. Perhaps more likely, given that both the Government and Labour have committed to Brexit and ending freedom of movement, is that restrictions are put in place under some version of Brexit. That may mean British people can retire to the EU but not work. That’s the situation with other third country nationals such as from America and Australia. Had Theresa May’s deal passed, under the transition period, British people would have had until December 2020 – almost two years after Brexit – to establish residency in EU countries and retain all their EU rights. For life. And not just for them, but for their spouse and dependent family too. 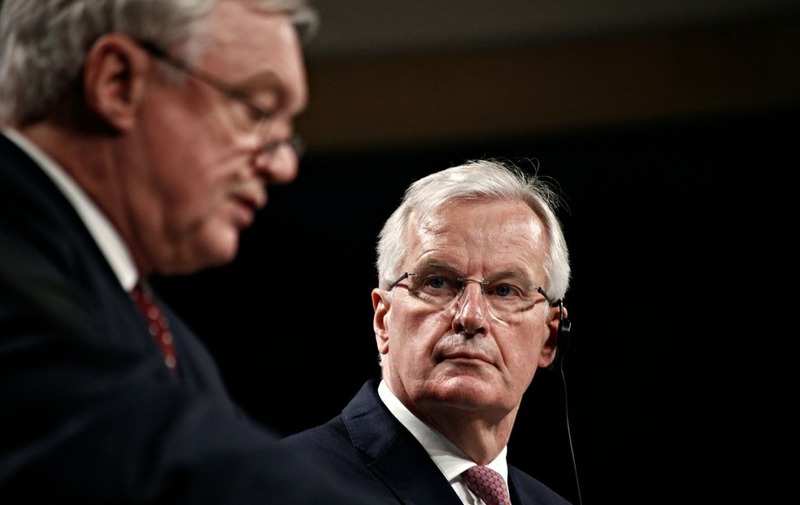 The transition period will be implemented under any version of the deal – and presumably may be extended if we leave on 31 October beyond its original December 2020 date. So if you are planning to move to an EU country and wish to retain our right to free healthcare, to work, study and live just an any other EU citizen, you should have another 20 months at least to do so. Deal or no deal: what does each mean for your property in Cyprus? After Brexit, either with a deal or no deal, the British will be “third-country” nationals when viewed from Cyprus. But we won’t be the only ones. The Cyprus Property Guide has readers from Sydney to San Francisco, the UAE to Brazil, but it is only from the UK, lately, that readers have been worrying about healthcare, visas and buying property. Why the worry? Cyprus Property Guides has delved deep into the likely Brexit scenarios – soft Brexit, hard Brexit or no deal – and we are confident that there are no realistic circumstances whereby British people need to abandon their dream. Property ownership is not one of the EU’s four freedoms and so your right to buy property in Cyprus will not affected. Ownership of property is not one of the EU’s four freedoms (goods, capital, work and services) and so your right to buy property in Cyprus will not be affected. That applies in whatever form Brexit happens, even with no deal. A Brexit deal should mean we can rule out worries over healthcare. In the event of no deal you may need health insurance until a new EHIC system can be worked out. If you’re NOT living in Cyprus full time, normal travel insurance should suffice. Those working in Cyprus will pay into the Cypriot social security system and will be covered. If you are on a long-term visa you may need comprehensive insurance. There is already a wide variety of options available for as little as €300 per month. British people will automatically become ‘Third Country’ nationals in Cyprus. The good news is that European leaders have stated categorically that even with no deal people from the UK will not require a visa for visits of 90 days or fewer in every 180. So you can travel backwards and forwards as many times as you like. If you stay for longer than that, you may need a visa. Working: The British government says that EU citizens moving to work in the UK after the transition period will need a work visa. We can assume that would be reciprocated by Cyprus. If you need a work visa you will be just like the hundreds of thousands of non-EU people successfully working in the UK. If you want to, it is perfectly possible to learn enough Greek to get by, get your UK qualifications recognised, and work in Cyprus. Why not give it a try? Other options include investor visas, company transfers and the European Blue Card. There is also the Irish passport option. Over 10% of the British population qualifies for one, and the processes to apply are simple and inexpensive. Retiring: Nothing has yet been announced about the “economically inactive” moving countries. A visa waiver system may be implemented as they won’t be taking jobs from local people. You may have to prove sufficient income to avoid being a burden on the state. We don’t know how much that will be in Cyprus, but in France it’s an income of €10,000 for one or €15,000 per couple. Third country nationals need a visa if staying for more than 90 days in any 180. So you will be able to live in Cyprus for half the year. Of course there may be paperwork involved – but Cyprus has a modern, well-run and English-speaking bureaucracy and we are confident that the processes will be simple and transparent, as they are for American and Australia buyers today. In short, even with no deal, there are many ways to get a visa for Cyprus, most of them are quite painless. No problem. Nothing should change. Buy away, there will be no restriction. You may need a visa, but we expect it to be a simple system or visa waiver. There is also a ‘golden visa’ if you spend €250,000 on a property in Cyprus. Not only are the potential problems with Brexit likely to have been seriously overblown, but there will be benefits too. The worries of so many British people about Brexit – we believe unfounded – have held back demand for Cypriot property. This is a great time to buy for those willing to fill in a couple of extra forms! Similarly, the evidence is that some Brits in Cyprus are returning to the UK, gaining from the weakness of the pound compared to pre-Referendum levels. This is a real opportunity to make an offer on under-priced property. If you are ready to move to Cyprus, contact the Cyprus Resource Centre on 020 7898 0549 or email cyprus@propertyguides.com. If you are still at the planning stage, download the Cyprus Buying Guide. Yes, you can move to Cyprus! Update: 08 October 2018, What should you know about moving to Cyprus with six months to Brexit? Cyprus Property Guides has had questions from some of our readers who are worried about Brexit impacting their chances of buying a home in Cyprus. Fortunately, the answer is that property isn’t affected by Brexit – so you can continue your plans safe in the knowledge that you can still buy here. Whether you’re allowed to own property or not in Cyprus isn’t controlled by the European Union. It is sometimes simpler in terms of paperwork, but ‘third-country nationals’ can still easily buy a home here. All you need to do is apply to the Council of Ministers for written permission to purchase, which is granted in almost all cases. Plus, many non-EU nationals, like Australians and Americans, can still stay in Cyprus for three months without a visa – so there’s no reason the same won’t apply to UK citizens. If you do move to Cyprus before Brexit and want to avoid any doubt over your right to live here full-time, it’s a good idea to get yourself registered. Find out how to do so in our article on registration in Cyprus. Update: 24 September 2018, “No deal” advice through from government on pet travel and car insurance. The UK government’s provided information on what we can expect in the case of a “no deal” Brexit for pet transport and car insurance. If we leave the European Union without a deal, the UK will no longer be part of the ‘Green Card-free circulation area’. This means motorists will need to carry a Green Card to show proof of having car insurance. Normally, you should be able to request one from your insurance provider for free. Motorists should expect documentation checks to take place upon entry to the Green Card-free area. This is subject to agreements being reached between the UK Motor Insurers’ Bureau and those of other relevant countries. Unless other rules are negotiated, anyone bringing a live animal from the UK – which will be outside the EU – into the EU will have to have an Export Health Certificate, signed by a vet or other authorising authority. They will have to go through an inspection process by Border Inspection Post and, after the inspection, the EHC would need to be signed by an ‘Official Veterinarian’. For animals to be allowed to be exported to the EU, the UK would need to achieve ‘third-country’ status. If not, all exports would cease. However, other countries such as Australia have this status, so it seems likely. Update: September 2018, Government offers “no deal” advice on passports, driving and roaming charges. The UK government has announced what we can expect when travelling, driving and using mobiles in the EU after Brexit if the UK and EU don’t agree to a deal. Third-country nationals can stay in a Schengen country for three months. As such, the government advises that the second requirement may in fact be for six months, to cover those three months within the Schengen area. If the UK exits the EU without a deal, it’ll be outside of the ‘Roam like at home’ rules. These allow EU citizens to use their data in any other EU country the same as in their home country. UK operators will no longer be under the EU regulations if there’s no deal. This means they’ll be free to set their own surcharges – so it’ll come down to a commercial decision. However, Vodafone, EE, 3 and O2 have all confirmed they don’t have any intention to increase surcharges. Other operators have yet to commit. The UK government has confirmed that UK driving licences may no longer be valid in the EU, if there is no deal agreed. In this case, the rules would default to International Driving Permits (IDP). The same as when UK citizens drive outside the EU, they’d have to apply for one of these before being able to drive. There are two types of IDP. The 1949 Geneva Convention on Road Traffic governs the first type. After the UK exits the EU, they would be valid in Ireland, Malta, Spain and Cyprus. They last for 12 months. The second type is governed by the 1968 Vienna Convention on Road Traffic. The IDPs from this convention are valid for three years in all EU countries apart from those listed above. It’d also be valid in Norway and Switzerland. Currently, the first type is available from the Post Office or directly from private companies. By the time the UK leaves the EU, both will be taken over by the UK government and available from the Post Office. When UK nationals travel to the EU, they’ll need their UK driving licence and IDP. UK government says it wants to secure reciprocal rights even if you move after Brexit. Even in the event of no final deal bring agreed, UK will follow through on citizens rights. No agreement on “onward movement” within EU. Under plans from the UK government announced this week, the process by which EU citizens in the UK can apply to continue living here will amount to proving three simple questions: who are you, where do you live, do you have any (serious) criminal convictions. Moreover, they will be able to answer the questions via a mobile app or online, for example by taking a photo of their address. The authorities will then check this against existing databases. The question is, will EU nations where the British live adopt similar rules and procedures? The cost for their “settled status” application will be £65 or adults and £32.50 for children. EU citizens in the UK will be able to apply via the system from “the start of next year” up until at least June 2021, said the Home Secretary. The question is, will EU nations where the British live adopt similar rules and procedures? The UK has been putting pressure on the EU to provide information on its planned procedures for UK nationals resident in the EU to secure their on-going residency status after Brexit. According to Home Secretary Sajid Javid, the European parliament’s Brexit co-ordinator, Guy Verhofstadt, has accepted that the EU’s 27 member states need to do more to reassure expat Britons in the EU about what to expect post-Brexit. A Government statement on Brexit also released this month should reassure expat pensioners concerned about their healthcare rights after Brexit. The government, highlighting how citizens’ rights to reciprocal healthcare remains a primary condition in any deal with Brussels. Healthcare for those who move after Brexit? The British and EU negotiating teams announced on 19 March 2018 that the UK’s transition period with the EU post-Brexit will continue to 31 December 2020. This extends by 21 months the period during which UK citizens can move to Cyprus and claim the same rights as before Brexit (see below). When you have become legally resident, which is a simple procedure (see below), you will retain your right to reside, work, study or open a business in Cyprus. You will also retain your rights to subsidised healthcare and a state pension. The deal could still unravel, but this seems highly unlikely. You can plan your new life in Cyprus with some confidence. After the official Brexit day on 29th March 2019, the UK will enter an ‘implementation phase’. This will last until 31 December 2020. The transition phase will give you extra time to sort out your affairs, apply for Cypriot residency and find somewhere to live. 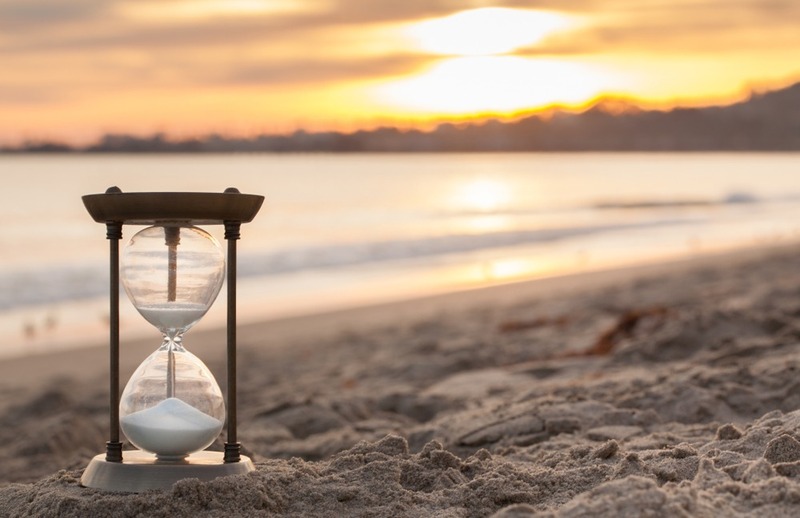 There is no need for the panic that the March 2019 deadline had been creating for many of our readers. It is especially good news for British people retiring to Cyprus in the next three years. If you retire in the UK you get a UK pension that you can transfer to Cyprus. It should be increased each year just like in the UK, according to the “triple lock”, in line with inflation, average earnings or 2.5%, whichever is greater. It also means that those with more complex and expensive health needs can move to Cyprus until 31 December 2020 knowing that their right to state healthcare benefits in Cyprus will continue for tier lifetime. 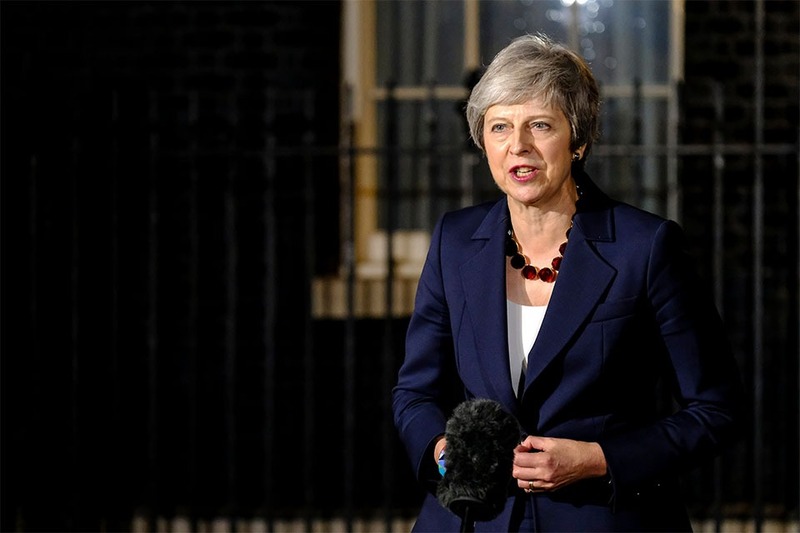 Prime Minister Theresa May has refused to allow the transition period after the UK officially leaves the EU in March 2019 to include the right to free movement of EU citizens to the UK. 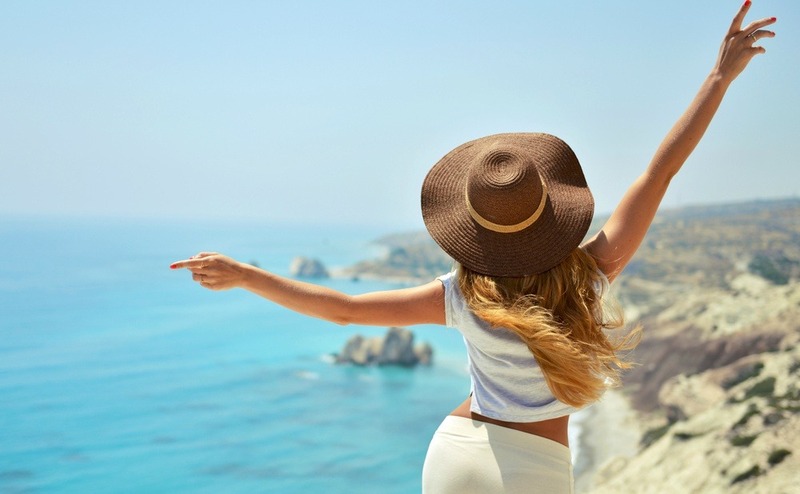 If reciprocated, it means that you have until 29 March 2019 to move to Cyprus. Many people thinking of moving to Cyprus will be worried that they will face restrictions after Britain leaves the EU. In our most recent survey four out of every ten of our readers were worried by Brexit. However, for British people wanting to move to Cyprus, the message is clear that only by living in Cyprus before 29th March 2019, when the UK leaves the European Union, will your right to live in Cyprus be guaranteed. Whether you are buying a property abroad, making regular payments or sending money back to the UK, you will want to protect the value of your currency transfers from fluctuating exchange rates. That's where Smart Currency Exchange can help. We minimise the risk associated with transferring money overseas by providing expert guidance every step of the way. UK nationals who are lawfully residing in Cyprus by 29 March 2019, will be able to continue to reside in Cyprus. That includes children born or adopted outside Cyprus after the 29 March 2019. Close family members (spouses, civil partners and unmarried partners, dependent children and grandchildren and dependent parents and grandparents) will be able to join you in Cyprus after exit under these rules, so long as the relationship existed on 29 March 2019 and continues to exist when they join you in Cyprus. You and your family members can leave Cyprus for up to five years without losing your right to return. You and your family will continue to have the same access as you currently do to healthcare, pensions and other benefits. Although this seems straightforward, the key phrase is “lawfully residing”. What do you need to do to be lawfully residing? EU residents wishing to stay in Cyprus for more than three months must register their residence within four months of arrival, by applying for a registration certificate (yellow slip). This process can be completed at the Civil Registry and Migration Department (Nicosia) or to the District branches of the Police’s Aliens and Immigration Unit (Limassol, Larnaca, Paphos, Famagusta). Proof of comprehensive health insurance in Cyprus. On 14 July 2017 the Cyprus parliament voted for a Cyprus tax law amendment adding a second test – the 60 day rule – to determine Cyprus tax residency status for individuals. Remain in Cyprus for at least 60 days during the tax year in question. Do not reside in any other single state for a period exceeding 183 days. Not a tax resident in any other state. Carry out business activities or work in Cyprus or be a director of a company that is tax resident in Cyprus at any time during the tax year in question. Maintain a permanent residence in Cyprus (either owned or rented). The right to bring family to Cyprus is extended to dependent children and grandchildren of the legal resident. This opens up another angle for British people who wish to retain their EU rights but are not in a position to move to Cyprus yet. Although only one person needs to become legally resident in Cyprus for the whole family to benefit, the cost of buying the home can be spread among many. Read our brand new guide, Buying Abroad with Family to see how to organise the legal and financial aspects.